Eureka! British scientists lead a voyage of discovery for Ghana’s schoolchildren..
Lab_13 ignites passion, stirs up curiosity and mixes ideas to create future industry leaders. 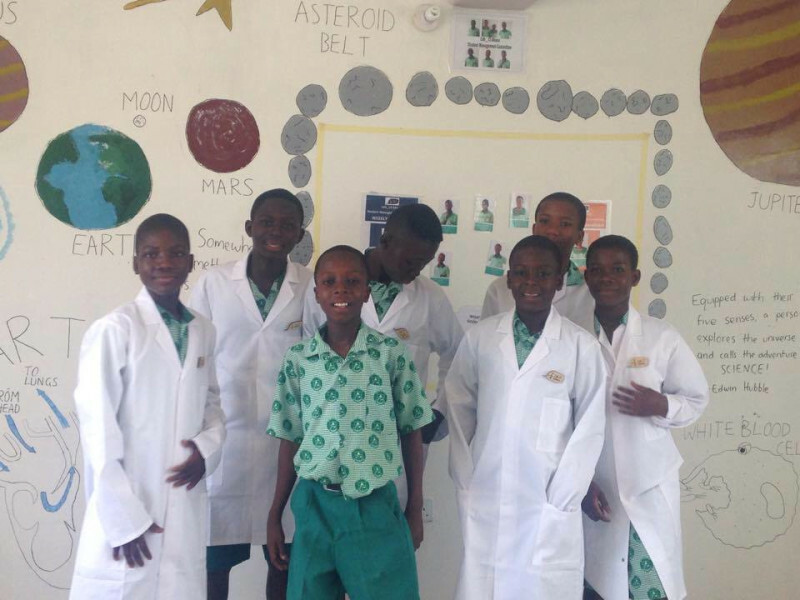 A practical, accessible and student-led science project is paving the way for Ghana’s youngsters to step up and lead their nation’s science industry via a journey of exploration and experimentation. 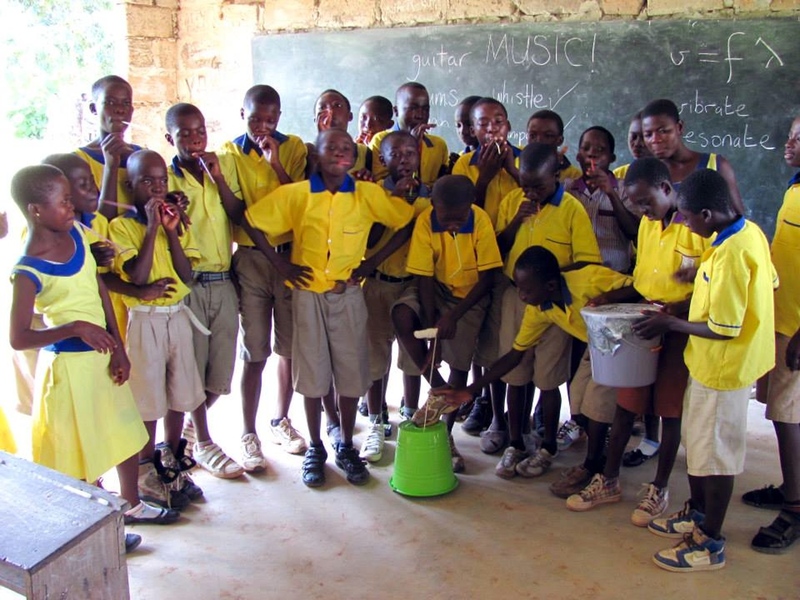 Lab_13 Ghana, less about book learning of science and more about hands-on investigations, is heading to West Africa thanks to UK science charities Lightyear Foundation and Ignite! and a team of passionate scientists. 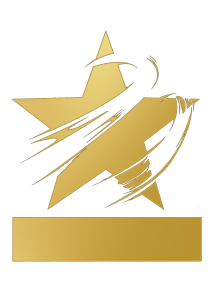 Lightyear Foundation is dedicated to igniting a passion for science across the world, empowering students, teachers and communities, showing how local, cheap and easily accessible materials can be used to bring the high school curriculum to life through hands-on activities, creating the next generation of passionate scientists. Lightyear has partnered with Ignite! to deliver Lab_13 in the Bosomtwe District of central Ghana – the first outside of the UK. The project which opens at Agape Academy on Wednesday 8 April is a designated science space in a school, where curiosity and imagination are brought to life through experiments using simple and basic local materials and resources. Activities are led by the curiosity and questions that children bring to the Lab_13, and their understanding of science is boosted by considering how it plays a central part of their everyday lives. Each Lab_13 is run by a Management Team of pupils, and supported by Scientists in Residence. In Lab_13 Ghana, scientists from Britain and Ghana will lead the sessions, encouraging understanding through doing, questioning, imagining and testing. But at the heart of the project is the principle that students are learning not just science but how to become scientists. 160 primary schools and 70 junior high schools in Ghana’s Bosumtwe District will visit Lab_13 between now and September. British schools are invited to take part too – linking up to work alongside the Ghanaian students, via video, so that they can share findings and ideas and get passionate about science together. 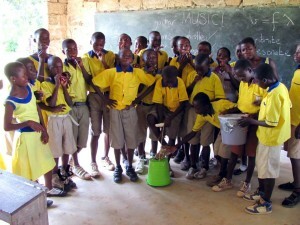 “Lab_13 Ghana is all about igniting passion and changing lives,” says Fran Ling, Co-Founder of Lightyear Foundation. “We all know the importance of education, but the way children are taught can make all the difference. Getting hands-on to explore, test and discover is the ideal way to inspire active young minds and instil in them the importance of questioning. Lab_13 Ghana launched on Wednesday, 8th April at host school Agape Academy, Jachie. Students have been busy preparing for the launch event, rehearsing special dances to create a real celebration of colour and noise. There will also be tours of the lab space, speeches from the student management committee and demonstrations by students from Agape and other schools. “Ghana is developing. We need a lot of scientists, they will develop Ghana,” says Joseph Donkor, Bosomtwe district Chairman for Ghana National Association for Private Schools. The two British scientists who are heading to Ghana to donate their time, expertise and passion to help children enjoy and explore science are Myfanwy Owen and Anisha Tailor. Myfanwy, 31 graduated with a degree in biology, specialising in biochemistry and microbiology. She spent several years in immunology research and development before moving to bioengineering. An enthusiastic micro-biologist with a real thirst for knowledge, she takes the tiny and makes it massively important. In 2012, she put her passion for science to good use, and joined the Lightyear Foundation Executive team managing their UK events. Anisha Tailor, 27, graduated in 2010 with a Master in Chemistry. She took time out from education and worked as a digital media designer for Fuse School, writing scripts and creating animations for YouTube science videos. Anisha retuned to university in 2013 to study Science Communication and upon graduation took on the role as Outreach Officer at The Physiological Society, creating hands-on activities, and discussion events for schools and the general public. Seven students from Agape Academy have been chosen as the Student Management Committee of Lab_13 Ghana. They include Sylvester Kwakye, who says “Lab_13 is here to satisfy your scientific curiosity”, and Angela Sinabis, who says Lab_13 will “let me know things about the world”. At Lightyear Foundation, exploration and education go hand in hand. They believe that everyone should have the opportunity to unlock their potential, solve problems and engage with science and by doing so harnessing the skills they, and their countries, need for success. Lightyear Foundation is dedicated to igniting a passion for science across the world, empowering students, teachers and communities, showing how local, cheap and easily accessible materials can be used to bring the high school curriculum to life. Ignite! Is a not-for-profit company that specialises in creative education programmes. www.ignitefutures.org.uk Ignite! opened the first Lab_13 at Dovecote Primary School in Nottingham in 2009.